The unfair games concept refers to a specific type of games that were intentionally developed in such a way so that the player can’t finish a level without constantly loosing lives, thus forcing him or her to memorize the safe path to choose until reaching the end. Personally I did not came across this type of games until I discovered the first one online in February 2008 on Kongreate website. 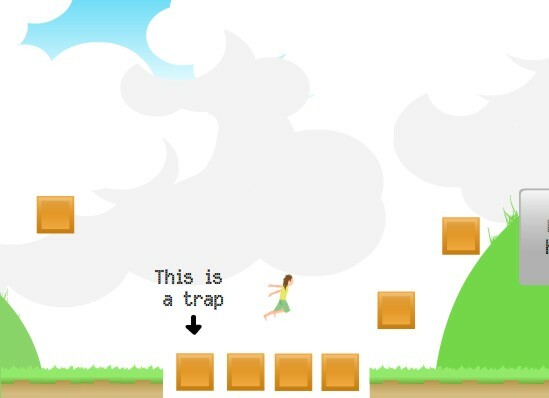 It goes by the name of “The Unfair Platformer” and it’s exactly what is says, a game that will frustrate you like crazy before being able to avoid all the hidden traps that will either stab, smash or collapse over you. Be warned that if you want to try your luck and give this title a shot you should keep in mind that nothing is what it seems so it’s obvious you will get hurt many times before reaching at the blue flags that will act like checkpoints thus saving your progress and letting you restart from this point. After getting the blue flag there is not much to endure as you already know what you are dealing with and you finally reach a yellow one that marks the end of the level. By now your frustration should have been dissolved and joy should take it’s place, as you managed to beat the first level of an truly unfair game. Second level starts with even more challenges yet by now you should feel addicted already considering the fact that the game received several millions game plays on internet. 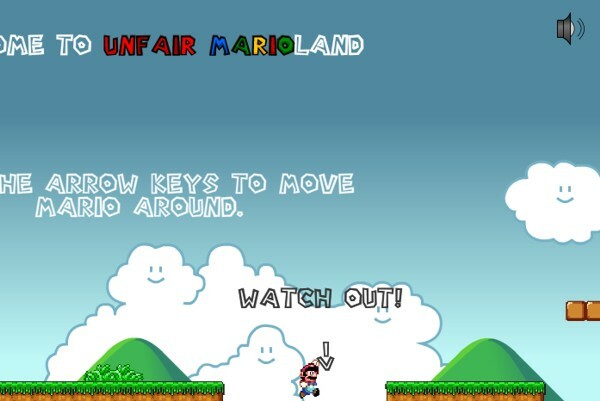 Secondly we have the Unfair Mario game that uses the same recipe but centered around one of the most popular characters in the history of video games, so imagine yourself if a simple title like the “Unfair Platformer” managed to gather so much fans around the world how would this relate to a Mario game. As you probably guessed Unfair Mario got viral quite rapidly once it was released online so one might ask himself what is with this type of games that start by frustrating you and end up spreading like a virus. Well probably there are many answers to this and each individual player could formulate it’s own, yet my personal opinion relates to the fact that the game is over challenging and speculates the basic instinct when in comes to video games, and this is to complete the challenge. It’s as simple as that “gamers gona score”. Third we have the Unfair Sonic. It’s just how it works ,you just can’t have Mario and not expect Sonic to catch up, so Sonic fans probably got really enthusiastic once their favorite character also got the chance to know how it feels to fight against the odds. Even though the Sonic version came up after almost two years since the Mario game got released, it got pretty viral among Sonic fans. 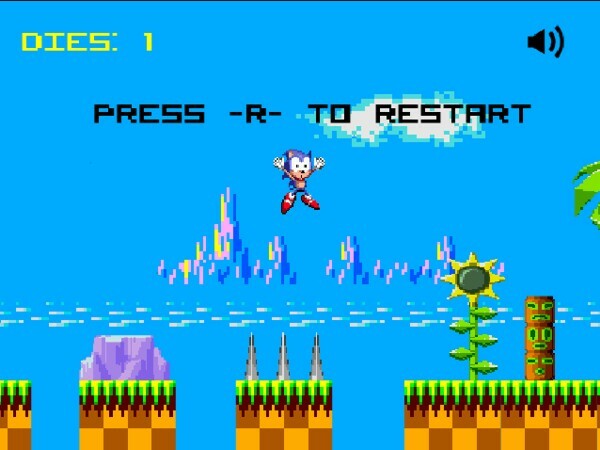 The unfair Sonic game makes use of the latest HTML5 engine thus making it playable on mobile devices as well. What I like most when it comes to the Sonic game is the fact that you are able make a jump even though the platform under you starts to collapse and this behavior it’s really natural when you think about Sonic as he is extremely fast and this ability of him is really put into value by the way this game reacts to the controls.